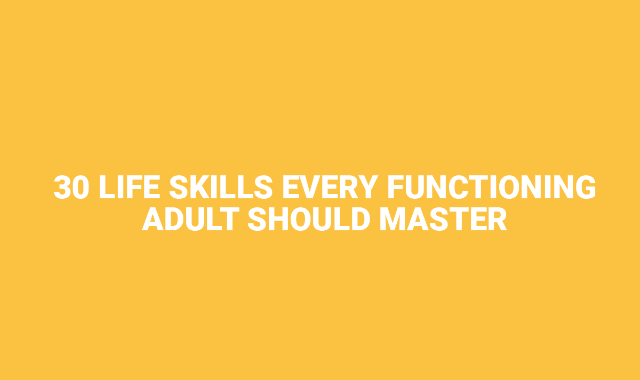 30 Life Skills Every Functioning Adult Should Master #Infographic ~ Visualistan '+g+"
No one gets a handbook upon turning 18, complete with all the rules they'll need to memorize and competencies they'll need to acquire. You're just supposed to know that you should have more money coming in than going out, and you shouldn't wear a fuzzy orange sweater to a job interview. And while those may seem more obvious, others such as "managing up" — the strategy of gaining your boss' trust by helping them achieve their goals — are even more subtle, valuable behaviors. Business Insider put together an infographic, which lists many skills you'll need to survive as an adult in the modern world.